Get out of bed and down to explore the East Heads early one morning, walk up the steps to see the craggy, death deifying cliff drops and then make your way back down again to where the wild waves break, to jump from rock to rock and take on the wooden bridge. After some time spent soaking up the beauty, make your way to the East Heads Café for a spot of either breakfast or lunch. 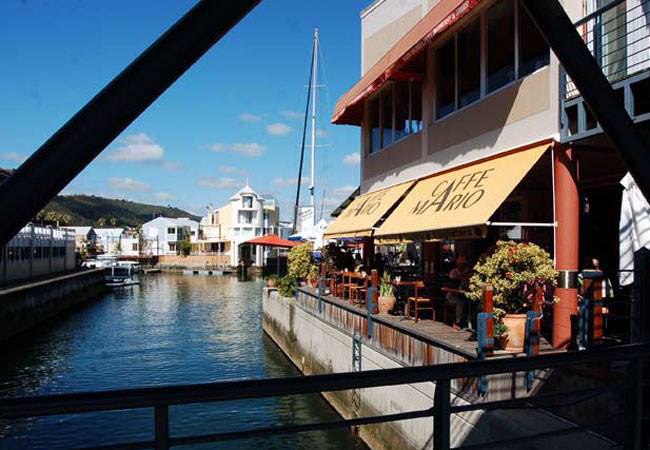 Order the breakfast martini and sit sipping it over looking the ocean and the bay of Knysna. We decided that instead of flying into Knysna we would take the scenic route and drive from Cape Town along the world famous Garden Route. 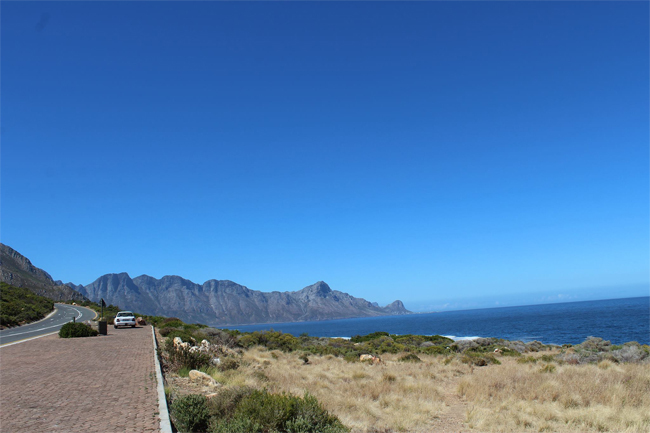 Totalling a six-hour drive that takes you up the coast for the first part and then through the mountains for the latter, it truly is a must do for any South African adventure. So rent a car, fill up and away you go, stopping along the way to take in the stunning views and the small towns that neighbour one another. 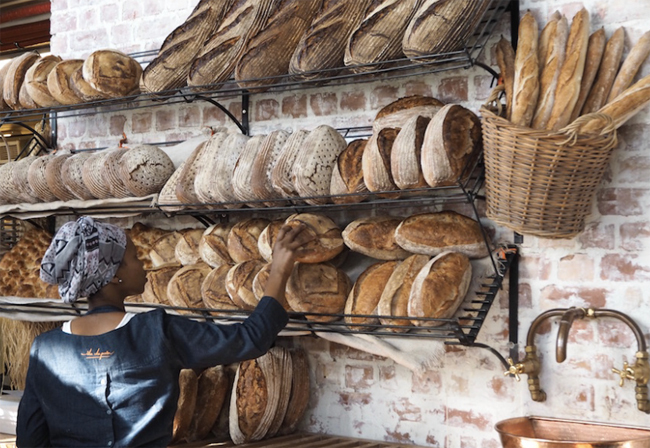 If you can, swing by Swellendam and grab a bite to eat at The Old Mill; this little town is like something out of the deep south, quiet and a far cry from city life. 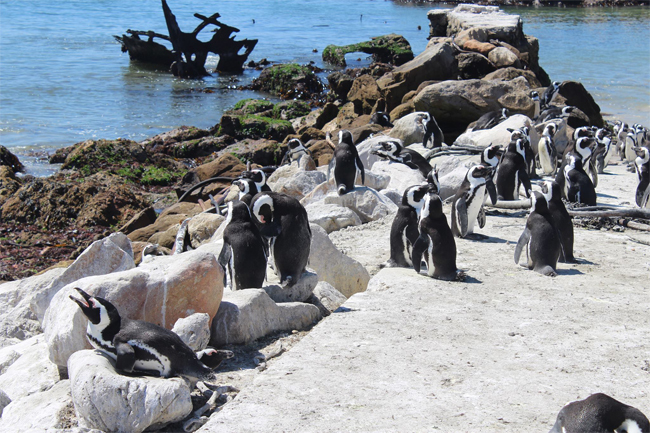 Be sure to keep an eye out for signs for penguins too, as there will be plenty of bays long this way where you can see these lovely creatures up close. 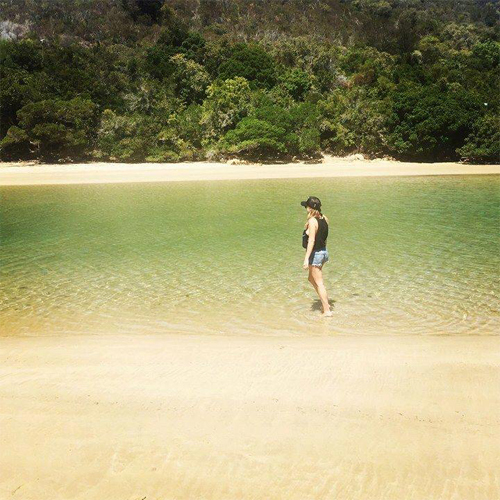 Knysna is full of natural beauty; from the mountainous terrain and forest walks to gorgeous beaches, but what it also has that really sets it apart is the vast lagoons that wind amongst the town. With fades of azure to pale jade, these waters are home to much aquatic life including the odd bull shark in the blacker depths, so do take care when wading out. 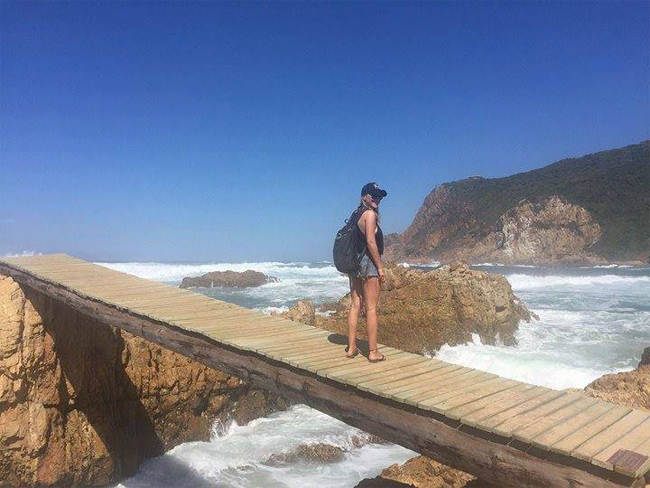 For a real deserted island experience, take a drive to Leisure Island and explore the gorgeous homes that boarder the lagoon and make up this quaint corner of Knysna. Here you will find tiny bays shrouded with trees, making this the perfect place to escape the sun and enjoy a cooling dip in the water. 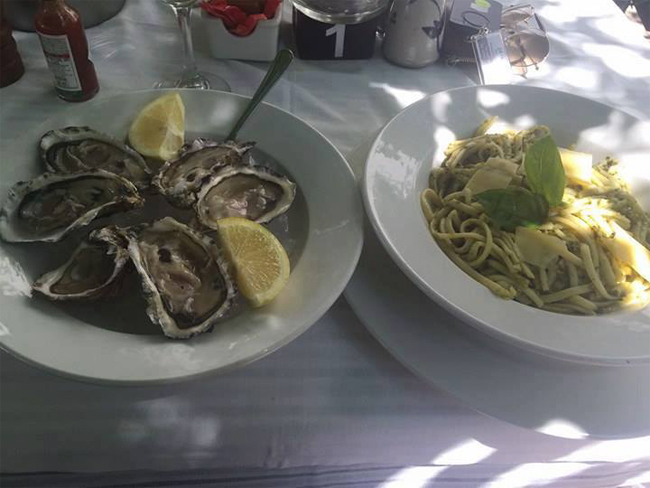 Eating out in Knysna you are truly spoilt for choice; something which doesn’t usually occur in such a small town. But here the streets are lined with a variable number of eateries to suit all palettes. From sushi and seafood to French bistros and classic Italians, come dinner time you will never go hungry. Take a walk to the quaint Waterfront and peruse the menus as you walk along the port, ice cream in hand. But if it’s good authentic pizza you are after try Caffe Mario; its crispy delicious and a local favourite. For a more upmarket fine dining experience head to Turbine and enjoy not only the exquisite food but also the in-house gallery. Then for those days spent brunching, it’s got to be Ile De Païn, but get there early as when food sells out that’s it and if you want to make sure you can order exactly what you want you need to be seated by 10am.